C1501,C1502,C1503,C1504 Tire Pressure Sensor Internal - The tire pressure sensor actively monitors the air pressure and air temperature inside the tire, the sensor internal battery status, and the radial acceleration of the wheel. Each sensor has a unique ID code. The sensor transmite the data at regular intervals via an encoded signal to a receiver circuit located in the Wireless Control Moduel (WCM). When monitored, with vehicle speed greater than 24 km/h (15 mph). Set condition, the Wireless Control Module (WCM) module will monitor the signals from the four active tire pressure monitoring (TPM) sensors. A loss of signal error is detected if data are not received or cannot be accurately decoded over 16 consecutive blocks of minimum of 10 minutes when the vehicle speed is above 24 km/h (15 mph). An internal TPM sensor hardware error condition will be set when an error in the accelerometer, pressure sensor, or temperature sensor is detected. 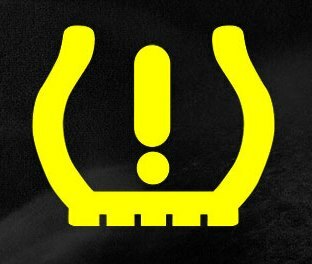 The tire presure sensor monitoring (TPM) telltale lamp will flash on and off for 75 seconds then remain on solid when a system fault is detected. Presence of aftermarket components that interfere with RF reception. Intermittent tire pressure monitoring (TPM) sensor internal DTC. Tire pressure monitoring (TPM) sensor. Tire pressure monitoring (TPM) transponder. Installing aftermarket window tinting that affects radio wave signals. Using the tire chains on the vehicle. Using wheel/tires not equipped with TPM sensors. Before beginning diagnostic procedure, verify that the tire pressures are correct. This DTC can be caused by many different factors and might not be a TPM sensor or a WCM fault. Interference from other elements will over power the sensor RF frequency making erratic operation to the TPM system. Check the vehicle for aftermarket accessories that could compromise the RF frequency signal before diagnosing the TPM system. Ignition on ,engine off. With the scan tool, erase DTCs. Test drive the vehicle at a speed greater than 24 km/h (15 mph) for 10 minutes in order to receive TPM sensor data and allow for the system to update. With the scan tool, select view DTCs. Is the DTC status active at this time? Tire pressure sensor HW fault. Tire pressure sensors missing ID. Tire temperature sensors HW fault. Tire temperature sensor SW O/U. Tire acceleration sensor HW fault. Tire loss of signal from pressure sensor. Do any of the above faults read ''set'' ? Is there a TPM-RKE analyzer available? This fault can be set if the incorrect or no TPM sensor is installed on the vehicle. If the spare tire is currently installed on the vehicle, and it is not equipped with a TPM sensor, this DTC can be set. Replace the spare with a TPM sensor equipped wheel and tire assembly. Test drive the vehicle, if the DTC reset continue with the diagnostic procedure. Perform a visual inspection to verify that all road wheels are equipped TPM sensors. With the TPM-RKE anlyzer verify the correct TPM sensors are on the vehicle. Are the correct TPM sensors installed on the vehicle? NO, replace the tire pressure monitoring (TPM) sensor. If the tires have been rotated, the TPM sensor is no longer in squence from the factory. Faults are linked to the TPM sensor IDs. You must locate the correct TPM sensor that set the fault before continuing. Use the following method below at every tire location. If you receive no response from any of the tire pressure sensors, verify that the TPM-RKE analyzer is set corectly, and repeat the process on each non responsive wheel. With the TPM-RKE analyzer, scan each TPM sensor for a response and store in the proper location of the TPM-RKE analyzer. Were the TPM sensor IDs able to be stored in the proper locations? Are any of the TPM sensors not responding or displaying the information losted above? YES, replace the Tire pressure monitoring (TPM) sensor. If the sensor IDs do not match, it may be necessary to move the vehicle to a location away from other TPM sensors and repeat this step. With the TPM-RKE analyzer, verify the sensor IDs match what is programmed in the WCM. With the scan tool, select data display for the WCM. Do the TPM sensor IDs match what is stored in the WCM? NO, with the scan tool, perform the appropriate procedure for uploading the correct IDs in the WCM. If the vehicle is equipped with factory installed remote start feature, check to make sure the antenna connector is properly connected to the WCM. Is the remote start antenna propely connected to the WCM? Step 11. Intermittent tire pressure monitoring (TPM) sensor DTC. 0 Response to "C1501,C1502,C1503,C1504 Tire Pressure Sensor Internal"